Sometimes the problem with a relationship is that there are two of you. And whilst two can be extremely good for a number of things, it can be bad when it comes to decision making. Like making important decisions such as getting the kids some bunny rabbits. I think that they need some…and she doesn’t agree. It would appear that my ‘no’ wasn’t a strong enough ‘no’. Because they asked again when we moved in, with those eyes that only little girls, actually scrap that…ALL girls of ANY age have mastered. The eyes that look pitifully and doe-eyed at you and ignite that little quiver in the lip at the same time. The four year old wins that competition hands down. Not that I am wrapped around her little finger mind you. 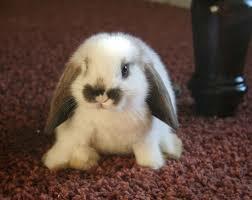 I have fond and distant childhood memories of bunnies. Memories I would be only too happy to revive. Besides, having rabbits means building a rabbit hutch. 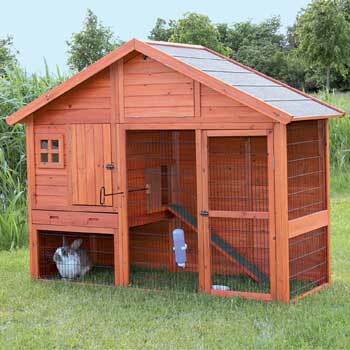 I am a DIY man through and through and relish the idea of a little project such as a rabbit hutch construction. I remember my dad making a well-constructed one for my sister and me. 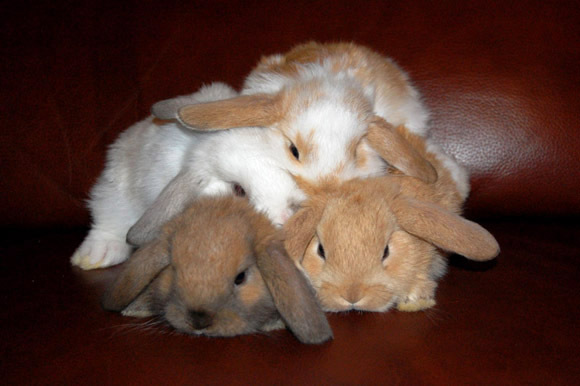 I have visions of constructing my own bunny mansion with several storeys, and clever joints and door mechanisms. It’s practically a rite of passage for a father. Come to think of it, I might need to purchase a new tool for the job. Because an entire garage jam packed with every tool imaginable might just have something missing. Having convinced myself, the next step was to sell the idea to the older boys. Being a terrible negotiator – as mentioned previously – I battled for a while to decide on the correct words, and then figured a picture might do it. You know, appeal to their masculine builder/constructor side. No cute bunny pictures, I would need pictures of a supercool hutch. I raced off to the nursery where I had recently seen some pretty cool hutches for sale – at prices that made my eyes water – and I returned that evening excited to show the boys the hutches I had merely ‘happened’ upon. The 13 year old jumped straight on board. “Oh cool! I want a black one, and we can help you build the hutch. I must be getting better at negotiating. But then they were the easy candidates. Their mother would be the tough nut to crack. So I mentioned to the boys that we had best break the news very softly and slowly. See it as a long term negotiation. Their mom was going to need some subtle work and delicate bargaining finesse. At the very least, we were five votes against one. Hopefully this blog will be followed by a second chapter. For the record, I would be prepared to ditch the silkworm eggs the girls and I have been storing if the kids are allowed bunnies. I am holding that little ace till the bitter end. I have moved house five times in the last seven years. You’d be wrong in thinking that it gets easier. It doesn’t. There should be a Government Health Warning on moving house. Mind you, the president’s health warnings normally come with good advice like; “take a shower afterwards”. Great house moving advice indeed! In no particular order here are the five laws pertaining to moving house, all learnt again recently during the latest move. 1. The Law of Boxes. 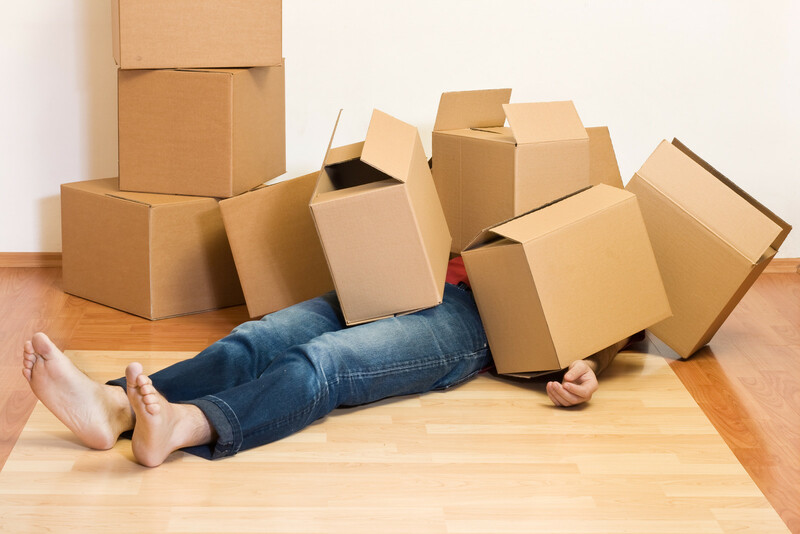 No matter how many boxes you lay your hands on, you always need more. And the boxes hold nothing. Really. You’d be lucky to get a blender wrapped in dishcloths, two wine glasses and a tin opener into a box that looks like it should hold the contents of an entire cupboard. The stuff I’ve accumulated seems to follow me around like the extra kilos I’ve been trying to shed for the past 2 years. The stuff also fits into boxes in the same way I fit into my clothes these days; it’s a tight squeeze with substantial overflow. No matter how well you label your boxes and their contents, you will never again find that tin opener. It’s just how the law works. 2. The Law of Time versus Furniture Weight. 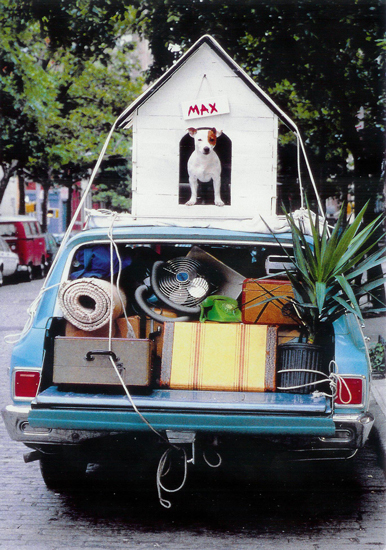 A simple law really – the more times a piece of furniture needs to be moved, the heavier it becomes. Sound familiar? My advice; just shut up and do as you’re told. Eventually she will settle on a design that will suffice for the first month. Your battered and bruised body will recover faster than it will take for you to recover from the emotional scarring resulting from the backlash to your dissent. 3. The Law of Drapery is as follows; every house shall have a different system of rods and rails. No room shall be exactly the same, and every house shall have windows that are a completely dissimilar size to the house you just left. I have a recurring nightmare where I am attacked by masonry drill bits, coloured wall plugs, tape measures and curtain rail ends. And don’t get me wrong, I love DIY almost as much as I love chocolate. 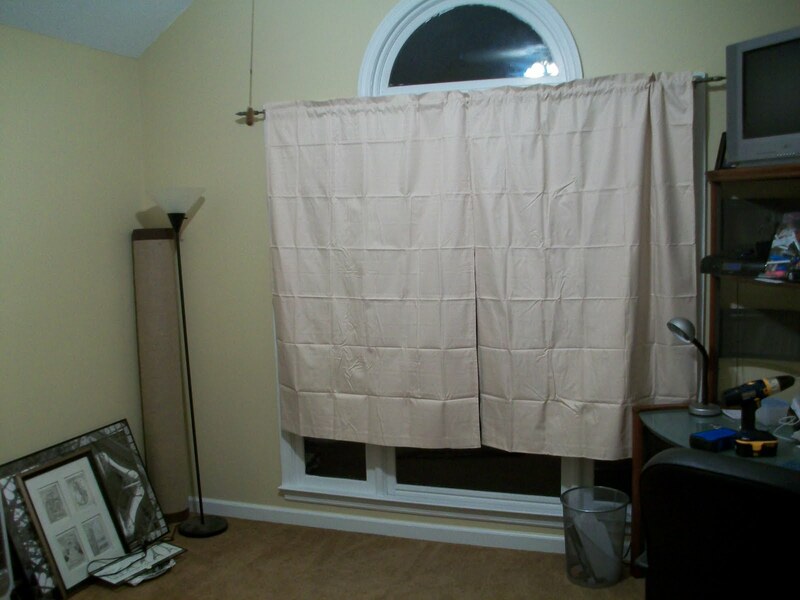 Relocating or replacing curtain rails is a thankless task that only the bravest attempt. The lintel is the hardest substance known to man and the walls are always painted obscure colours that are impossible to match and so the marks from the old holes are never hidden properly. The floor is never level, and neither is the ceiling. The plaster is always either crumbly, forcing you to play ‘match the hole with the wall plug’, or so damn hard that you blunt 16 drill bits before finally ramming something onto the wall that will hold up the weight of your partner’s choice of curtaining. Curiously at least 5cm of curtain length is inexplicably either lost or gained in the process and the hapless fool is left with two choices; leave it as it is and negotiate the frigid waters of relationship hell, or start all over again. I believe that I have successfully negated this law by appointing my dad as Custodian of the Drapery. I reward him with copious praise. And I truly mean every word! 4. The Law of Filth Reciprocity. The level of cleanliness of the house you just left is directly converse to the one you’re moving to. I spent a day cleaning the house I moved out of. I removed every nail, wall plug and screw from the walls. I poly-fillered the walls, touched up the paint, scrubbed, washed and polished. The dust-bunnies removed themselves just at the sight of our vast array of cleaning equipment. Cue stage left, and enter Murphy. In the rush to meet the key handover deadline the tin of white velvaglow paint in my hand slipped and fell unceremoniously to the clean, tiled lounge floor. On impact with the tiles the white paint looped gracefully out of the tin and traced an arc in slow motion high into the air, returning to meet the tiles in a glorious splatter but not before finding the hair, jacket and boots of the woman who was soon to become my new housemate. Comedy is lost in the stress of a move, I can vouch for that. In fact, my own sense of humor was last seen roughly a week before the day of the move. Back to the law and sad reality – our new home was filthy! Light fittings that upon first glance looked beigey brown became clear glass subsequent to a visit to the hot soap suds in the kitchen sink. I replaced 24 light bulbs, and relocated an entire nation of spiders and spiderwebs. The boisterous dog had left its own legacy of dirt. Muddy ball marks on the walls, scratched doors, a filthy patio, holes in the lawn, and a blocked drain. 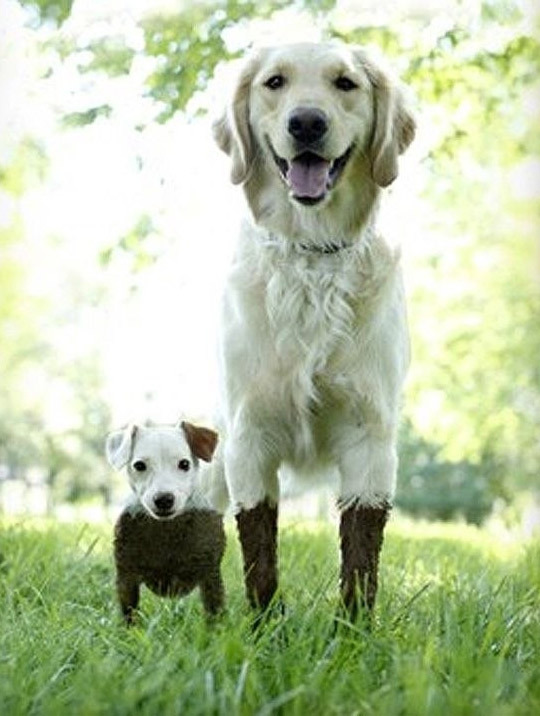 The plumber was called in and retrieved a tennis ball from the drain. The drain cover was found under a bush on the other side of the house. I removed a trailer load of junk that had just been left in the garage, and we are still scrubbing nicotine stains off the walls with sugar soap. One day I also want to walk out of a house and leave it as is, make it someone else’s problem. But I know I won’t, I can’t, it just isn’t in me. 5. The Law of Space Equality. Not all spaces are created equal. 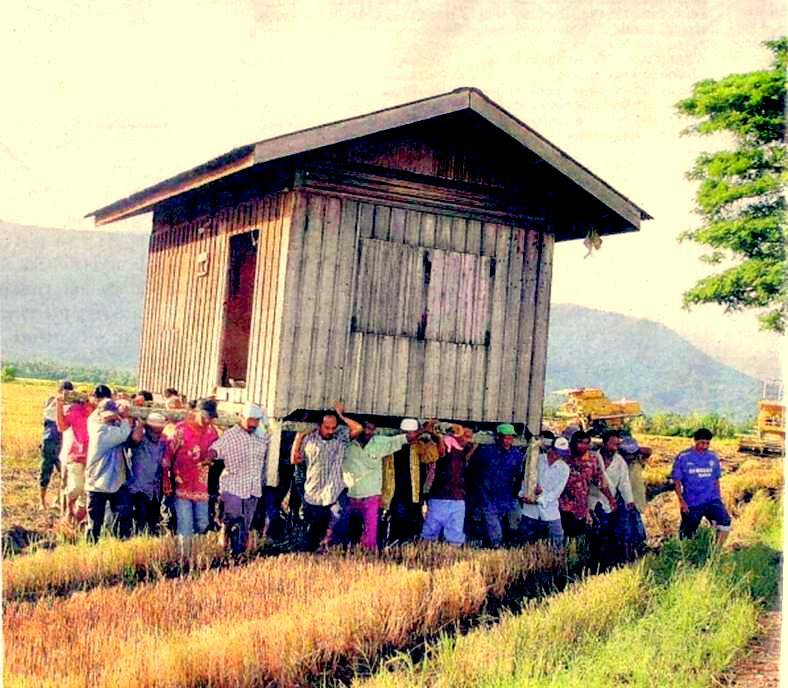 Unless you are moving to a new house the size of Nkandla, there is never enough space to put everything. It just seems to work that way. On the topic of Nkandla, I have only one partner, imagine moving house with four wives and twenty-odd children. Definitely more than one shower needed there! I gave away boxes of stuff before the move, and more boxes of stuff after the move. I still have boxes of stuff. My housekeeper had to arrange transport to cart away the last load I gave to her. I think she has an entire new house herself now. Good luck to her when she needs to move, I will provide some ice cold beers.